While I’m not a fan of raw carrots, I love how they cook. Roasting and boiling always works, but sometimes I like to do something different. This recipe is from my new cookbook, Eat Green Get Lean, and it’s a tasty, low-calorie, easy-to-make snack. I like to pair mine with a bit of mustard. Delicious! Enjoy! Preheat oven to 450°F. Coat a baking sheet in cooking spray. In a large mixing bowl add all of the ingredients. Toss until well combined. 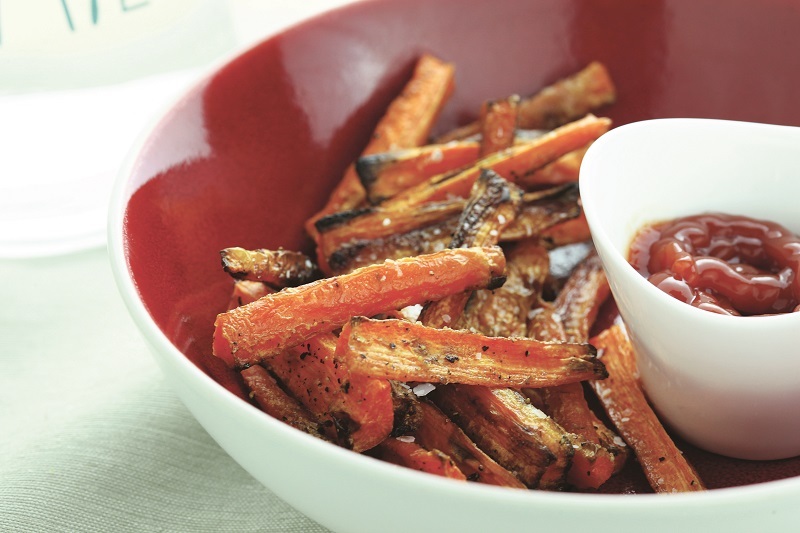 Spread the carrots out on the baking sheet and bake 25 – 30 minutes, or until lightly browned.